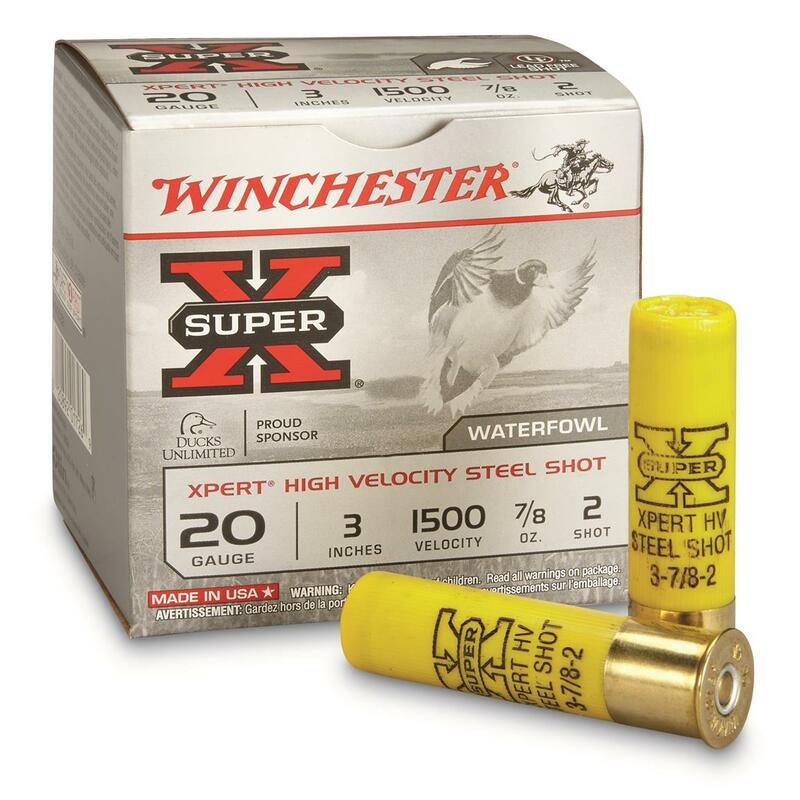 Winchester® XPert® Steel Waterfowl Shotshells, PRICED LOW! Value priced, Earth-friendly...and hard-hitting! Corrosion-resistant steel shot delivers consistent patterns, shot after shot. American-made value, offered here for LESS! Winchester Super-X, 20 Gauge, 3 , 7/8 oz., Waterfowl XPert High-Velocity Steel Shot, 25 Rounds is rated 5.0 out of 5 by 2. Uniform patterns for consistent results!